We are officially half way through the year! Summer is here and so is the adventure. Over the last few months we have transitioned through life lessons and goals, we have celebrated milestones and mini adventures, we have also learned to embrace the present and gift of seeing another year and now we are ready to wanderlust. June is the start of summer adventure, travel, relaxation and as the sunshine sings through the clouds. As we speak I'm off on an adventure! I'm on a plane going back to the motherland specifically the Democratic Republic of the Congo to visit family and I can't wait to share my adventure with you all. For more about me, please read the Americanah post from this past Memorial day to get the back story and the reintroduction of my travel series that fits into this time of year! I really want this month to reflect the quality time I spend with family. To get reinspired, refreshed, renewed and remotivated to go out into the world to conquer and share my talents, time and treasures with the people all around me. Wanderlust represents the story of my life. I have been traveling the world along time and there is never a time I don't want to explore, discover and to reenergize my spirit through the beauty of the skies, clouds and nature that surrounds me as I experience a different part of the world again. I hope I am able to capture the very essence of it all. 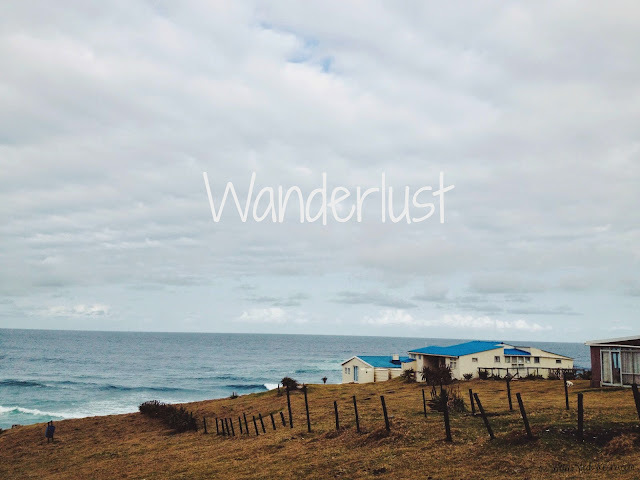 Wanderlust is a strong desire to travel, its interesting how when you wander you find yourself again and this opportunity gives me the time to do that. I am so grateful for that as well. I will also flashback and throwback to my past adventures in Kinshasa, DRC as preview as is what to come when I'm back stateside. I will also be sharing my top ten Summer Wardrobe Essentials and what it means to shop in your thirties. So basically, reflecting back, renewing and refreshing are what June will be as a wander a different place enjoy the moments to the fullest! I love this quote because it speaks to appreciation of what you have and how leaving it behind makes you realize whats important and who in your life matters the most. May your June be a great one! See my last travel adventure to Jamaica, Jamaica! + Island Girl + VLOG HERE!